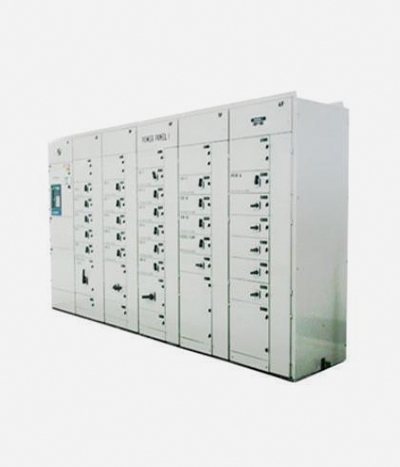 RIE is one of the leading providers of Automatic Power Factor Correction (APFC) Panels and Real Time Power Factor Correction (RTPFC) Panels in Eastern India helping their customers maintain near unity PF in their utility bills for all kinds of loads. We provide a wide range of APFC configurations ranging from wall mounting panels of rating 25-100 KVAR to floor mounted panels upto 1500 KVAR. RTPFC is designed to compensate the reactive power on real time basis for extremely rapid acquisition of the power factor within the range of 40 - 60 msec. Connection and disconnection of the capacitor to and from the network occurs at zero crossing. This smooth connection avoids transient effects like waveform distortions, generation of switching spikes etc., typically created by electromechanically switched contactor based system. The response time of this is much higher than electromechanically switched systems. Response time 40-60 milli seconds Max.